Although it's still technically summer, and the sun is apparently shining behind the cloud and rain today, we wanted to let you know about our programme of FREE webinars for the Autumn. Have you got a new team member starting? Or have you forgotten how to use some of the advanced features of the software? 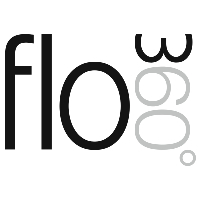 Or can you think of a friend to introduce to Flow360? For answers to the above, and many more, these webinars are for you! The topics covered are below, but if you have a subject you'd like us to cover, just let us know! We've also been working hard on even more updates over the summer which we will share in the next newsletter, but for now take a look at the webinar choices and make your booking today! Although you have received this email, feel free to circulate the information to any staff who will find it beneficial and email anyone you would like to add to the list to James Betts.